All WEEC 2017 delegates are required to attend a Community Outreach Workshop on Monday, September 11, 2017 at venues throughout the city. The IEL’s goal is to support community-based research and best practice for environmental education in both the formal and informal education sectors. As the program of these workshops will coincide with the theme of the Congress, these workshops will be free of charge for WEEC 2017 delegates and all delegates will be required to attend one workshop. Delegates will then reconvene at the Vancouver Convention Centre, West Building for an evening Plenary Session & Congress Dinner. Delegates can select a workshop to attend during the online registration process. The Bachelor of Applied Science in Sustainable Agriculture degree is unique to North America and is distinguished from other agriculture degree programs by providing a broad scope of study related to sustainable food production as an integral and fundamentally critical element of sustainable human existence. Through a distinctive and exceptional combination of classroom, community and farm-based learning, the curriculum is designed in recognition of the need for both practical and academic training within the new powerful movement in sustainable agriculture. This workshop will highlight how the program’s success is directly linked to our ability to extend beyond the walls of the university and will provide workshop participants an opportunity to learn about the process, challenges, and benefits of developing those relationships. The format will include a session where they will meet our partners and hear about the value they see in the partnership and a tour of our learning facilities. Please click here for a video of the beekeeping program at the KPU Richmond Farm. Please click here for the schedule and directions to KPU. This day-long Research Symposium at the World Environmental Education Congress 2017 will provide a range of insights and dialogues to focus our attention on questions of strategy and priority for environmental education. The day will include plenary panels in the morning and afternoon, alongside participatory dialogues and a strategy workshop. The first half of the day will focus on trajectories of environmental education, through presentations and discussion that probe why the field of environmental education has become what it is, and where might it be heading. The second half of the day will focus on priorities for environmental education, through presentations and discussion that probe how to increase the contributions of research, policy, and strategy in advancing environmental education. Short and provocative position papers from invited speakers will be pre‐circulated on the event themes. Registrants will be expected to have read the short position papers and come prepared to discuss them with their authors and other attendees. Participation is limited to congress delegates and with no additional fee, with pre-registration required. Register for this thought-provoking symposium on the main congress registration site. 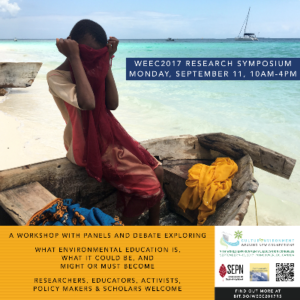 The Research Symposium is being co-organised by Marcia McKenzie, Director of The Sustainability Education Research Institute (SERI), and Alan Reid, on behalf of the research and evaluation strand of WEEC2017, with sponsorship from The Sustainability and Education Policy Network (SEPN) and Environmental Education Research. Hosted by the Sustainability and Education Policy Network (SEPN) and Environmental Education Research (EER). The Sustainability and Education Policy Network (SEPN) is an international network of researchers and organizations advancing sustainability in education policy and practice. Based out of the Sustainability Education Research Institute, SEPN provides rigorous, comparative, evidence-based understandings of policy and practice with the goal of enabling educational change for a more sustainable future (www.sepn.ca). Douglas College will host a day long, multi-event workshop that highlights the array of multidisciplinary environmental education programs and opportunities offered at the college. The day begins at the New Westminster campus in the Aboriginal Gathering Place, which features traditional art, including a four-metre Coast Salish welcoming figure that faces the Fraser River, by Susan Point, and four directional poles by George Hemeon. The morning session includes an interactive showcase featuring short presentations on unique, multidisciplinary environmental education opportunities (research, pedagogy, and community collaboration) within urban ecosystems. The application of these approaches will be explored in the afternoon session. After a short walk to the New Westminster Quay, participants will embark on the M.V. Native, an authentic paddlewheeler, for a three hour tour of the Fraser River (vancouverpaddlewheeler.com). 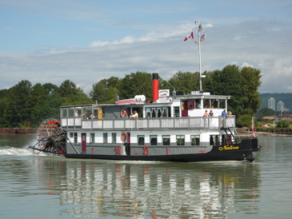 The tour includes a fabulous buffet luncheon, guided narration of the land use history of the Fraser (Mike McPhee, Douglas College geography department) and the possibilities for applied learning (Fin Donnelly, MP and founder of the Rivershed Society of British Columbia, rivershed.com). The river tour will include opportunities for participants to learn about and share best practices for urban-based environmental education programming, possibilities for collaboration and potential for action research. The day concludes at the Fraser River Discovery Centre with a tour of the exhibits and hands-on programs that highlight the Fraser River’s contributions to the life of British Columbia (fraserriverdiscovery.org). Participants in this day-long workshop will be inspired to explore local opportunities for incorporating features of their own bioregion, like the Fraser River, into their environmental education programming. Please click here for directions to Douglas College. The Centre for Sustainable Food Systems (CSFS), located at the UBC Farm, is a teaching and research centre that aims to understand and fundamentally transform local and global food systems towards a more sustainable, food secure future. The CSFS is a living laboratory, committed to finding solutions to both the local and global challenges facing food systems sustainability and translating solutions to improve personal, community, and environmental health. The UBC Farm is a 24-ha teaching and learning space, and integrated production farm. 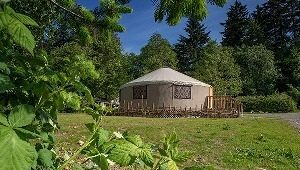 The farm is situated within a 90-year old coastal hemlock forest that comprises a mosaic of cultivated annual crop fields, perennial hedgerows and orchards, pasture, teaching gardens, and forest stands. The UBC Farm is certified organic through NOOA, and grows over 200 varieties of fruits, vegetables, and herbs. The farm also features honey beehives and egg-laying, open-pasture hens. Please click here for schedule and directions to the UBC Farm. The UBC Children’s Garden and The UBC Orchard Garden are two garden-based learning sites and programs hosting teaching, learning, and research through the UBC Faculty of Education. These are key sites and programs of the UBC Cultivating Learning Network, a multi-faculty network of gardens for learning and student engagement at UBC. Both sites are on traditional, ancestral, and unceded territory of the Musqueam people. We will host an outdoor workshop focused on the teaching, learning, and research of the UBC Intergenerational Landed Learning Project (ILLP), situated at the UBC Children’s Garden, and UBC Orchard Garden. Both projects focus on teaching and learning through the K-12 and higher education curriculum through hands-on learning in gardens. Participants in this workshop will experience hands-on activities used by both programs, learn about the history and objectives of each project, and discuss research and UBC student engagement that takes place in partnership with both locations. The ILLP is committed to improving the wellbeing of people, communities and the planet through hands-on land-food-community based environmental education programs and research. Through our programming we strive to inspire Earth stewardship, promote social development, love of learning, advance human health, and foster intergenerational and intercultural relationships. Classes of children in grades 3 – 7 partner with Farm Friend volunteers to sow, grow, and harvest, food crops using sustainable agricultural practices. During these visits children gain hands-on experience with the growing cycle, food systems, soil science, and farm and forest ecosystems using a cooperative, multi-generational, small-group learning approach. 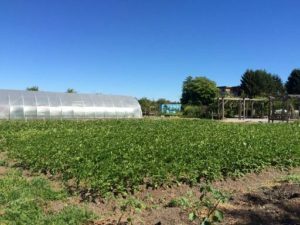 The UBC Orchard Garden is an experimental space where students learn hands-on about organic food production and marketing, and about teaching across the curriculum in a school garden with the garden as co-teacher. Over 500 students each year are involved in classes, workshops, practica, research projects and seasonal celebrations at The Orchard Garden. 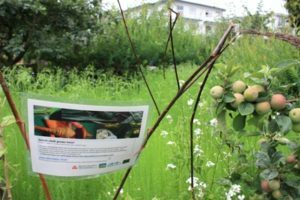 Located in the Mount Pleasant neighbourhood of Vancouver, Means of Production (MOP) Garden was created in 2002 by artist Oliver Kellhammer, in partnership with the Environmental Youth Alliance (EYA) and the Vancouver Parks Board. Kellhammer’s original conception was to create an ‘open source’ landscape where people could experiment growing their own botanical materials for art and craft use and for the garden to be a community ‘hub’ where ongoing investigations into art and ecology would take place. Co-Managed by EYA and EartHand Gleaners Society, we collectively work to further MOP’s original mandate as a platform for community environmental art engagement. MOP engages an urban community of local residents, visual artists, environmentalists, crafters and performers in creating art through a living and productive landscape. The existing garden becomes active studio, lab, performance space and social setting. Opened in Summer 2014, Trillium North Park is on the south edge of Strathcona neighbourhood; for millennia three Coast Salish First Nations: the XwMuthkwium (Musqueam), Sḵwx̱wú7mesh (Squamish) and Tsleil-waututh exercised overlapping traditional rights to the land on which the new Trillium North Park is situated. The park’s perennial plantings were chosen for significance in traditional hand technology by First Nations People from across the province of British Columbia. Purpose-designed areas assist in processing plant materials including: covered harvest table and work area, shipping containers for indoor work, fenced outdoor storage and an open-air performance space. The park is approximately 1 hectare in size. Certain areas of the park are managed by EartHand Gleaners Society with the intention of teaching skills in sustainable harvesting, crop management and hand skills in using the plants harvested from the park. We want to make Trillium North what urban sociologist Ray Oldenburg calls a ‘Third Place’- a great, good place that acts as a sphere for community happenings. Stanley Park Ecology Society (SPES) is an independent non-profit charity that plays a leadership role in the stewardship of Stanley Park through education, research, and conservation. With a team of passionate staff and dedicated volunteers, we promote awareness of and respect for the natural world. Our conservation team conducts wildlife surveys, restores habitats, and collaborates with a variety of outside groups to protect the Park’s biodiversity. SPES’s innovative school programs connect thousands of students to nature every year though hands-on, inquiry based lessons; we also provide teacher training workshops to further our reach and help get more classes outdoors across the region. For the public, SPES offers experiential guided walks, educational workshops, indigenous programming, and interpretive displays at the Nature House for people to immerse themselves in the natural wonders of Stanley Park. 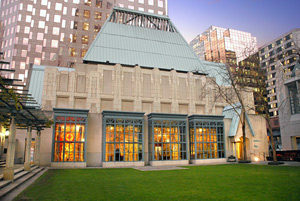 The Bill Reid Gallery of Northwest Coast Art is a public gallery nestled in the heart of downtown Vancouver. It is named after the acclaimed Haida artist Bill Reid (1920 – 1998). Reid was a master goldsmith, carver, sculptor, writer, broadcaster and spokesman. Gallery highlights include: Reid’s gold and silver jewelry, his monumental sculptures in bronze and stone, and a full-scale totem pole, carved by James Hart of Haida Gwaii. The Bill Reid Gallery opened in May 2008, and is the only public gallery in Canada devoted to contemporary Indigenous Art of the Northwest Coast. It is home to the Simon Fraser University Bill Reid Collection and special exhibitions of contemporary Indigenous Art of the Northwest Coast of North America. Through his art, Bill Reid continues to inspire emerging and established contemporary Indigenous artists of the Northwest Coast. His legacies include infusing the art traditions of the Haida with modern forms of expression, influencing the next generation of artists, and building lasting bridges between First Nations and other peoples. In 1971, the District of North Vancouver decided to celebrate British Columbia’s Centennial with a project that would contribute to the District over the decades to come. At that time, the interest in the integrated science of ecology was beginning to move into the public consciousness. The District of North Vancouver created the Lynn Canyon Ecology Centre to focus attention on our local ecosystems and educate people about local and global environmental concerns. The Lynn Canyon Ecology Centre has hosted local and international schools, families, and park visitors for more than 45 years. Please click here for directions to the Lynn Canyon Ecology Centre. The Vancouver Aquarium Marine Science Centre is a self-supporting, non-profit society dedicated to effecting the conservation of aquatic life through display, communication, public programming and education, research and direct action and is recognized as a leader in connecting people to our natural world. More than 35 million people have visited the Aquarium since it opened in 1956. NOTE: This program has an outdoor component. Please dress appropriately for spending time outdoors and at the beach (e.g. hats sunscreen, jacket, beach appropriate footwear etc.). We recommend water-resistant shoes or rubber boots; participants wearing open-toed shoes may not be able to participate in all activities. MEC is an innovative place, and our Head Office demonstrates that. It’s designed to a LEED Platinum Standard, and embodies MEC’s culture of active outdoor lifestyles, leadership in green buildings in Canada – giving form to healthy workplaces – and drive to foster continual improvement and innovation throughout our operations. Its numerous sustainability features include natural lighting, energy efficiency and monitoring, passive cooling, heating and ventilation, and a high-performance building envelope. On-site water management and efficiency measures as well as extensive landscaping are also at hand. Outdoor amenities include walking paths and seating and a roof-top patio with vegetable planters and fruit trees. MEC is committed to being an outstanding employer and to providing our members with value in everything we do. 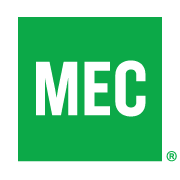 Our Head Office sets MEC apart as a place where people want to work, bolstering our reputation as ‘destination employer.’ At the same time, members benefit from products and services that are borne of MEC’s highly collaborative workplace culture. Serving more than 4 million members is a huge undertaking. Loving where we work keeps us inspired to do everything we can to support people living active outdoor lifestyles. Please click here for schedule and directions to MEC. Social justice is a principal area of focus of the British Columbia Teachers’ Federation (BCTF), which represents all 41,000 public school teachers in the the province of BC. Its 24-member Committee for Action on Social Justice (CASJ) supports teachers by creating resources, developing workshops and advising the Federation on policy regarding social justice issues. The four members of the Environmental Justice action group, one of CASJ’s six sub-committees, will be facilitating this workshop. What are the ethical implications of environmental education? What tools can we use to facilitate the development of resources, lessons, and actions that ensure an ethical and equitable approach? Participants will explore some of the BCTF’s environmental justice resources and workshops, which address climate justice, resource extraction, food security, water rights and sustainable transportation. Participants will also have the opportunity to share their own work related to the ethics of environmental education. We invite interested participants to bring posters or other materials highlighting their work for an informal sharing session. Please click here for directions to the BC Teachers’ Federation. This community outreach event includes a presentation in the morning and a participatory workshop in the afternoon. The morning session features a presentation by Bill Darnell, who will share his story of the founding of Greenpeace and lessons learned during the first Greenpeace voyage in the Aleutian Islands, to stop the testing of atomic weapons. The afternoon workshop, building on the morning presentation, will guide participants to engage, both individually and culturally, with contemporary ecological issues and dilemmas. This participatory workshop will be grounded in theory and applied practice developed by Sustaining All Life, an international grassroots organization working to promote ecological solutions through ending divisions among people based on race gender, class and age. The tools of Re-­evaluation Counselling will be introduced as a process for providing “mutual support that people use to free themselves from the discouragement, isolation, and other internal struggles caused by the oppressions and other experiences in our societies that separate us from one another and from the world around us” (SAL website). These skills are necessary for educators to increase the capacity of learners to navigate and effectively act upon ecological issues. A vegan lunch, free of charge, will be provided to those attending morning and afternoon workshops. Science World is a charitable organization that engages British Columbians in science and inspires future science and technology leadership throughout our province. Our TELUS World of Science facility has seven galleries, two theatres and a live performance space which offer visitors of all ages interactive, hands-on exhibits, programs and shows themed around science and nature. Highlights include the outdoor Ken Spencer Science Park featuring exhibits and pop-up programming connecting visitors to the local environment and engaging them to make sustainable choices and; Search: Sara Stern Gallery where visitors discover and are inspired by nature’s wonders in the form of natural history exhibits, specimens, discovery boxes and live animals. Science World is also active throughout the province with outreach programs including On the Road, Scientists and Innovators in the Schools, Big Science for Little Hands, Super Science Club, Community Science Celebrations and BC Green Games. BC Green Games is an award winning province-wide sustainability storytelling contest for students from kindergarten to grade 12. The program inspires action, encourages sharing and also rewards and celebrates the sustainability efforts of BC schools. This community outreach experience at TELUS World of Science will begin with a presentation by Science World CEO and President Scott Sampson, who is a dinosaur paleontologist, science communicator, author, and passionate advocate for connecting people with nature. Dr. Scott will speak about the emerging New Nature Movement and how it will transform environmental education and bridge the emotional disconnect between people and nature. Following the presentation, Science World galleries will be open for exploration, in particular, the Ken Spencer Science Park and Search: Sara Stern Gallery where our curators will showcase environmental and nature-related programs including BC Green Games, and will be available to answer questions and connect with delegates. Note: Lunch will be provided by Science World. Though located just minutes from Surrey’s bustling urban City Centre neighbourhood, the Surrey Nature Centre is an ideal setting to be inspired by the rich natural and cultural history found in our outdoor classrooms. Guided tours also invite you to discover green architecture in one of the fastest growing cities in BC including the City Centre Library and SFU Surrey campus, designed by world-renowned Canadian architect, Bing Thom, and Surrey City Hall by Kasian.